With new hotel developments, rumors of Michelin stars in the future for some restaurants, and the consistently strong cultural offerings in the city, The DF (as the locals call it) is teetering on the edge of a tourism renaissance. During my recent 5-night stay, I spent time exploring the Centro Historico and Polanco neighborhoods trying new restaurants, tasting mezcals, enjoying the incredible outdoor art, and doing site-inspections at the luxury hotels of Mexico City. The best hotels center around either the Reforma District (more business oriented) or Polanco (an affluent residential neighborhood with great shopping and dining). Both neighborhood locations are convenient to the museums and parks in Chepultepec and are walking distance from each other as long as you’re in the mood for a longer, leisurely stroll through the park. If your stay will include a Sunday, I highly recommend the Reforma location. The city closes the wide avenue to cars and opens it up to pedestrians and cyclists. The city’s bike share program is easy to use and gives you an opportunity to see the city from a whole new point of view! Taxis are abundant and easy, especially if you speak a bit of Spanish. As a traveler with limited spanish-speaking skills, I was very pleased to find that Uber has arrived in Mexico City! This on-demand chauffeur service made getting around the city extremely easy for me. All I had to do was punch in my destination into the app on my phone and then relax on the drive and practice my conversational Spanish without any stress of worrying if the driver fully understood where I wanted to go. The Four Seasons – Located in Reforma, the Four Seasons is currently undergoing interior design updates in all of its rooms. The updates and renovations have already been completed in the lobby and the restaurant will receive a face lift this summer. The entire project should be completed by the end of Q3 2015. I was very lucky to be one of the first to stay in a renovated room; you can see all of my pictures here. Personally, i’m undecided on how I feel about the new room design. I found the black, tan, and red color scheme to be a bit too striking and too much of a departure from the classic Four Seasons style. That said, the rooms are large and comfortable. I was also pleased that the hotel opted to keep the old-world charm of the interior courtyard and added the newly-popular “grab-and-go” coffee shop concept. I think the Four Seasons is best suited to travelers with small kids (the courtyard is a lovely, safe place to let the kids run off their energy) or travelers who appreciate contemporary/dramatic interior design. It is not a good fit for anyone looking for a fully-equipped spa; the hotel only has a few treatment rooms as part of the pool/gym facilities. More pictures from my site-inspection can be seen here. St. Regis – St. Regis hotels come in four flavors: The Metropolitan Manor (think: The St. Regis flagship in NYC), Paradise Found (think: St. Regis Princeville in Kauai, Hawaii), Journey’s End (think: The St. Regis Deer Valley) and The Glass House (think: St. Regis Bal Harbour in Florida). The St. Regis Mexico City definitely falls into the glass house category and actually reminded me a lot of the St. Regis in Bangkok. I think this option will appeal to younger travelers (in actuality or at heart) and those with sophisticated design tastes. The Reforma location is just across the street from the Four Seasons, but these two hotels might as well be worlds apart. 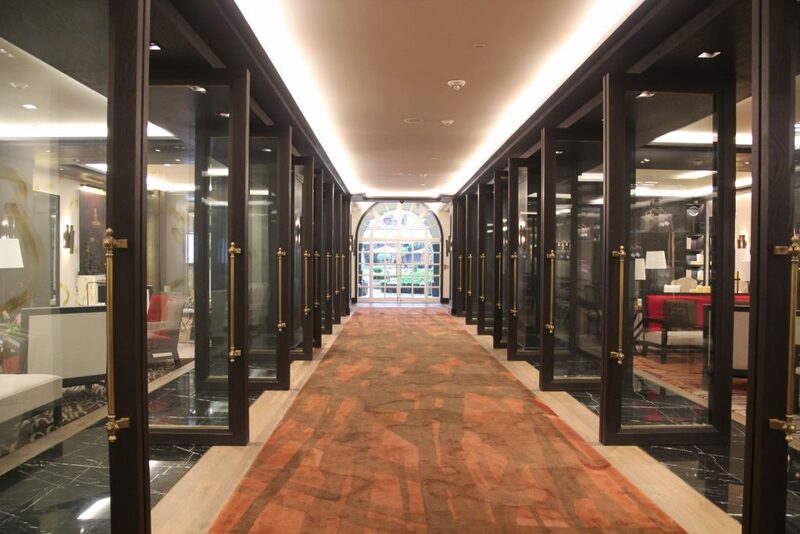 Where the Four Seasons architecture is traditional, the St. Regis is modern. 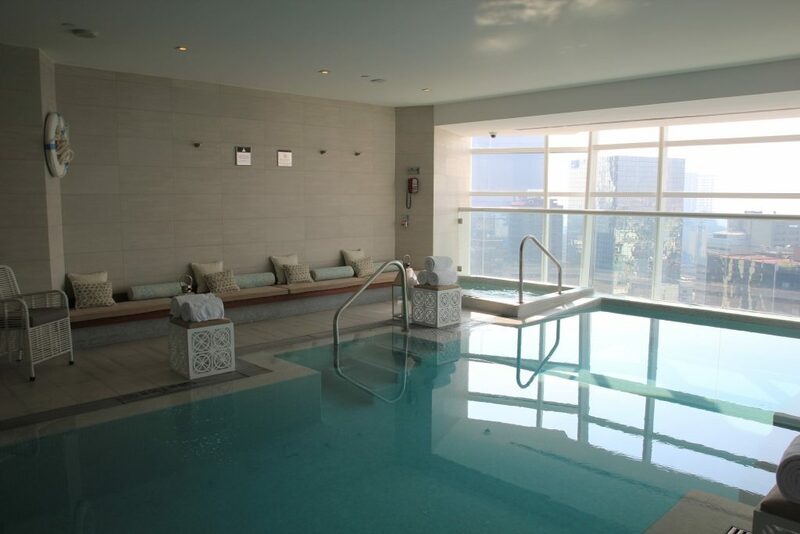 Where the Four Seasons has an aspect of seclusion and an escape from the city, the St. Regis is more open and invites you to float above the city, which you can do from their pool on the 15th floor. The St. Regis rooms feature floor to ceiling windows and the mid-rise building affords them excellent views of Reforma and the Castle. My favorite room feature is the in-room steam shower in executive suites and higher room categories. The food and beverage options include a King Cole Bar, Diana Restaurant, and JG Grill. I was able to test the breakfast service along with cocktails on the terrace at King Cole – both were excellet quality and service was spot-on. With a kids play room and fun camp-out tents available as an alternative to the roll-away bed, the St. Regis is also a good fit for families traveling with kids. More pictures from my site-inspection can be seen here. Las Alcobas – The Polanco location and boutique size help this hotel stand out as an extraordinary hotel option in Mexico City. And now, this hotel is also a member of Starwood Luxury Collection, which gives our loyal Starwood clients added choice in the destination. Standard-level rooms are small with very little room around the beds. These rooms would not be a good fit for anyone looking for true luxury accommodations or staying for longer than 1 or 2-nights. These rooms are also due to a soft-goods update to give it a slightly less lived-in look. 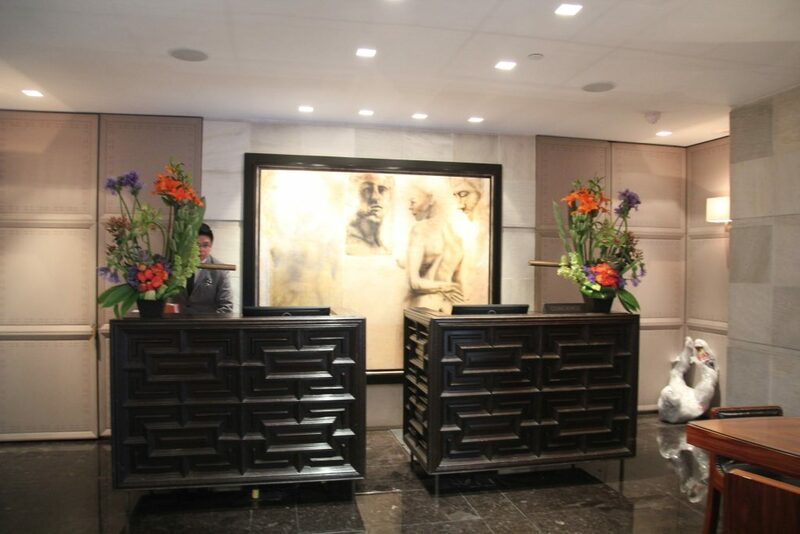 However, the suites are lovely and definitely worth consideration. This intimate hotel also features a small, but well curated spa along with a restaurant that has become very popular with the local community. I think this hotel is the best option for anybody looking for a more residential retreat with opportunities for shopping and dining right at your doorstep. Given the smaller size of the hotel itself and many of its rooms, I don’t think this will be a good match for families. More pictures from my site-inspection can be seen here. A runner-up to the three options above is Hotel Busue. This boutique hotel is also located in Polanco on a quite, tree-lined residential street and it has a great rooftop cafe that brings in a small dose of energy to the property. But, my overall impression of the hotel is that it is more in the 4-4.5 star range and needs a little boost in design, bathroom finishes, etc. The two-bedroom suite at Busue is good to keep in mind for anybody needing a little extra space during their stay in Mexico City. Hotel Downtown: I spent 3-nights here at the beginning of my trip. I loved the historic architecture and unique, playful design. But, this is not a luxury hotel by any means. The bathrooms do not offer any privacy from the rest of the room, the finishes are very basic, and noise may be a problem depending on room location. But, if you are feeling adventurous and up for it, this hotel has so much to offer. Great dining and shopping on property, steps away from the Zocalo and National Palace, and a great rooftop deck with bar and pool! You can see more pictures from my stay here. Runners up to Hotel Downtown include: Condesa DF, Hippodrome, or La Valise each offers a unique location and a unique design concept and are worth consideration for the right traveler and the right trip. I went to Mexico City with a positive outlook on what I could expect from the destination. It did not let me down! I found the city to be vibrant and sophisticated and the current growth and development is very exciting. 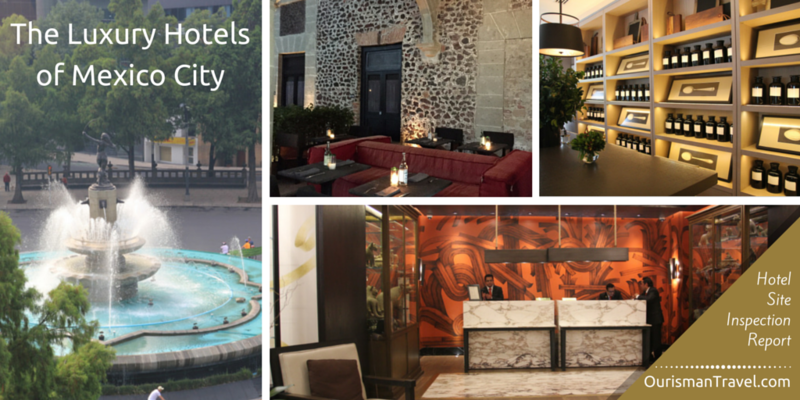 The luxury hotels of Mexico City were equally pleasing. It is so much easier to enjoy a new destination when you have a comfortable place to call home at the end of a long day of exploring! This city is worthy of more than just a layover and I don’t regret that I took some time to get to know the many attributes the city has to offer. I feel like I’ve only scraped the surface and I look forward to returning soon! 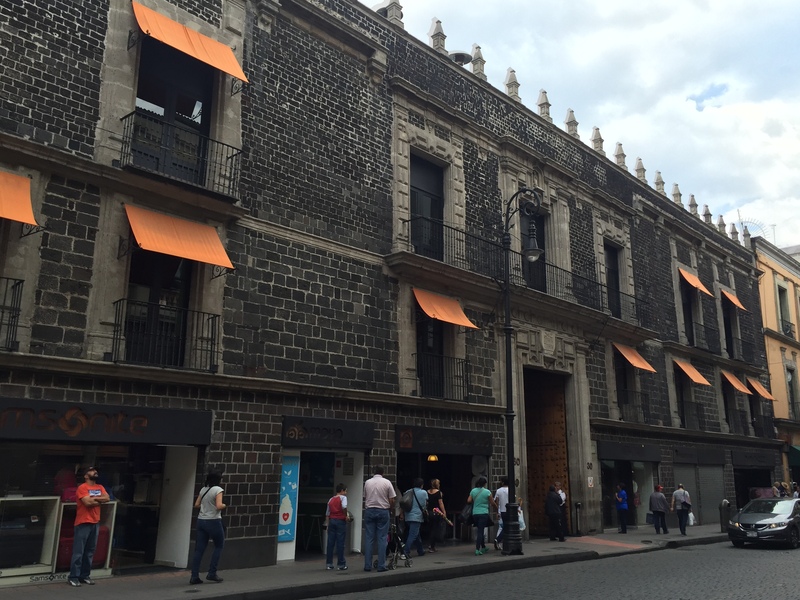 This entry was posted in City Destinations, Hotel Reviews, Mexico and tagged Mexico City. Bookmark the permalink.